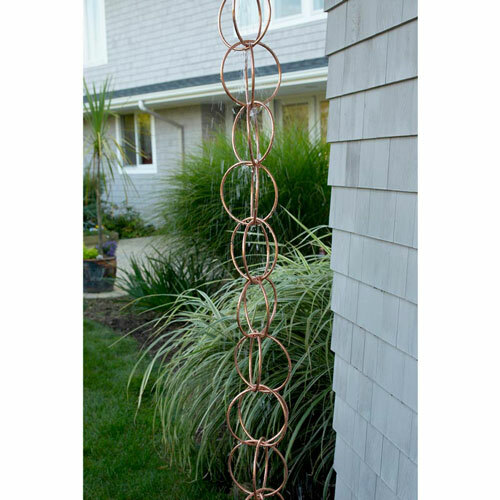 Both functional and ornamental, this Double Link Rain Chain will enhance your home and provide a decorative alternative to downspouts. Originating in Japan hundreds of years ago, rain chains act as linked funnels. 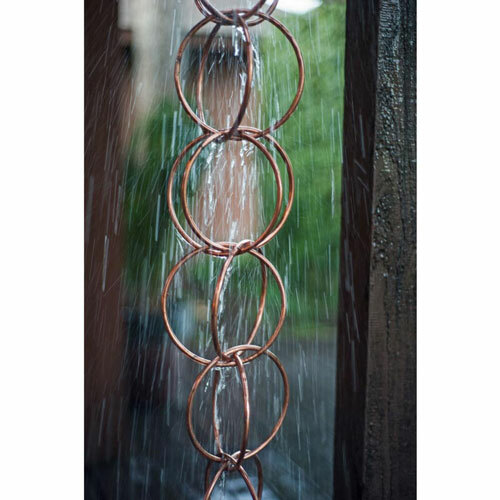 When it rains, the water playfully dances and flows down the polished copper chain creating a lovely sound and image. A natural patina will develop on the copper styles over time, adding to the character and charm of this delightful chain. The chain is the ideal length for attaching to a rooftop. 11' long, 6" wide.